Navigation On Demand is the first SaaS navigation service for vehicles. Your car's sat-nav system may be about to get a whole lot smarter follow a new release by HERE Technologies at CES 2019. The company has announced the launch of HERE Navigation on Demand, which it says offers carmakers an easy way to create intelligent, intuitive and engaging in-car experiences. HERE, which says its technology is already embedded into more than 100 million vehicles worldwide, claims the new launch will provide carmakers with a simple, "one-stop" solution that works off the shelf, and is able to scale without incurring huge costs. The company has already announced a partnership with Amazon that will see Alexa integrated into Navigation on Demand, allowing more in-depth voice direction. HERE says that Navigation On Demand is the world's first SaaS navigation and connected service solution for business - or as they put it, Navigation as a Service (NaaS). This allows the service to combine the benefits of embedded navigation with the ease of use of existing mobile and smartphone mapping tools. As for the carmakers, the new platform means they can simplify their infotainment supply chain and development process, as well as reducing development and other material costs. Selecting such a "one-stop" solution also means that carmakers can minimise the risks of feature-loss in new vehicles, as well as simplifying software update challenges for existing models. 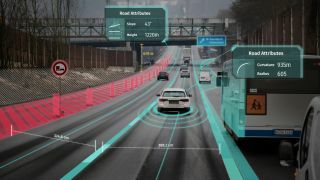 “HERE Navigation On Demand is the reinvention of in-car navigation for the era of the connected vehicle,” said Edzard Overbeek, CEO of HERE Technologies.